They look fairly similar - XB1 has more jaggies, but seems sharper in some areas. Neither look as good as KZSF tho. Hey, been on the road last couple weeks so haven’t had a chance to update, but wanted to confirm that for Xbox One we’re 1080p upscaled from 720p. And, we’re native 1080p on PS4. We optimized each console to hit 60 FPS and the game looks great on both. Still on the road, but glad to see the great reception to Extinction. Can’t wait for next week's launch. Honestly, for me it's just an interesting exercise in comparison. I've never been a wargame player myself. I find it interesting how much power they've squeezed out of the PS4 for this though. So, we now know the difference matters. The next question is why is this happening? Actually, that's easy to answer. It's because the PS4 is more powerful in graphics terms. And that means the PS4 can render higher detail graphics while maintaining smooth, playable frame rates. Both consoles are based on very similar basic architectures, with CPU and graphics provided by chip specialist AMD. In fact, the two share pretty much identical eight-core CPUs. So we don't have to worry about that. Where the big differences come in are graphics and memory subsystems. PS4 and Xbox One actually use identical graphics architectures, known as AMD's GCN technology. But here's the thing. The Xbox One has 768 GCN graphics cores. 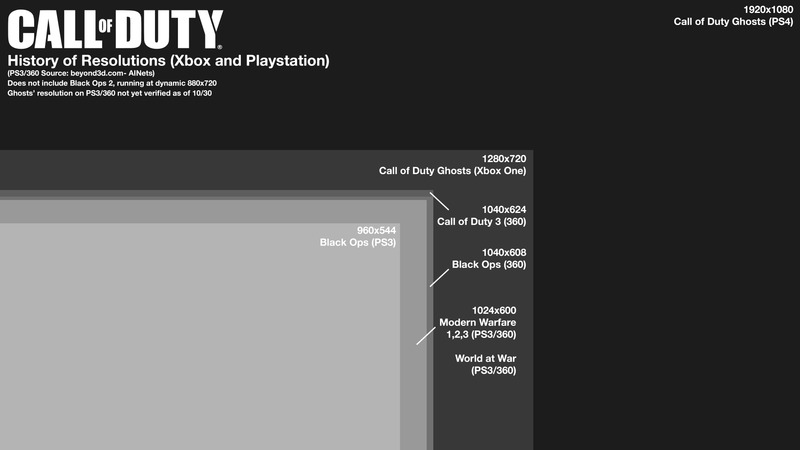 The PS4 has 1,152. The two consoles run at similar clockspeeds, so right from the get go, the PS4 has 50 per cent more raw shader power. Then there's memory bandwith. The PS4 packs 8GB of GDDR5 running at 5.5GHz data rate and thus packs 176GB/s of bandwidth. The Xbox One? 8GB of DDR3 at 2.13GHz and thus just 68.33GB/s. Oh dear. In mitigation, the Xbox does have 32MB of eSRAM offering another 102GB/s of bandwidth. But that's a misleading figure, since the eSRAM pool is very small compared to system memory. It certainly helps offset the PS4's bandwidth advantage. But an advantage it remains. With all that in mind, there's no denying the PS4 is simply faster at rendering graphics. The end. This is interesting, in the last bit he says there was a rumour that cod ghosts when direct ported to xb1 ran at 15fps, but direct ported to ps4 ran at something like 90. Direct port was before optimisations - so on the xb1 they had to utilise the esram.